Ride with your kids and there’ll come a time when nothing but a proper bike will do. Reaching about nine or 10, if they’re grown up enough to handle real trails, and committed enough not to ditch the expensive bike and take up football instead, it’s more than likely big bike time. There are loads of bikes on the market for kids, but we’d avoid the really cheap supermarket options, simply because you could end up with a bike that is ruddy heavy, unreliable and not much fun to ride, which can be devastating for a kid. 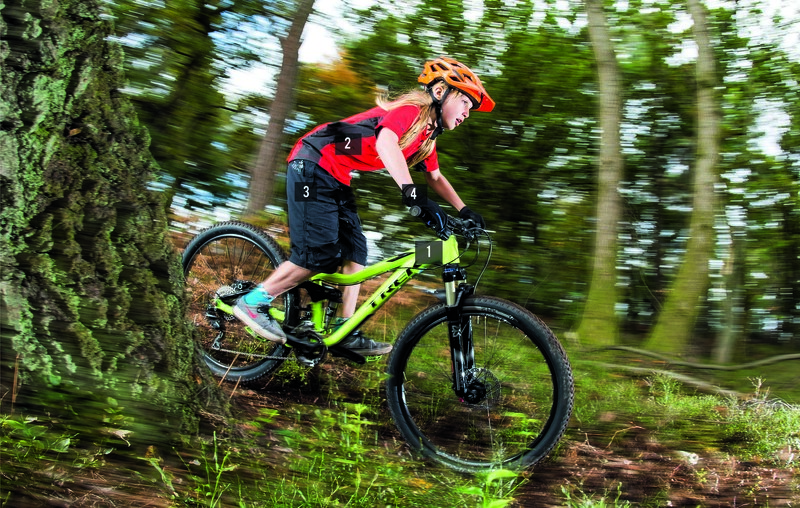 If you want their first off-road experience to be a good one, take a look at Trek’s new Fuel EX JR. OK, this little ripper is £1,400, but according to Trek, it’s “a fully-legit, fully-loaded kids’ version of our great Fuel EX”. That means it has an Alpha Platinum aluminium frame and Full Floater suspension. The X-Fusion Microlite RL rear shock is tuned for lighter riders, and the matching Velvet RL fork actually gets a decent amount of travel. There’s also a set of Shimano Deore disc brakes for confidence and security. The Fuel’s 12.5in frame has increased standover height, a lower bottom bracket and shorter reach for better control. Out of the box, this bike is ready to rock and roll. To stop soreness, a baggy short with a liner is an essential item for kids. Madison’s Trail Short has an anti-bacterial pad built in, and includes tons of storage for those inevitable mid-ride sweets. Available in three sizes (age four-six, seven-nine and 10-11) £29.99 form more information click here. With its loose fit, the Madison Short Sleeve Trail Jersey will last a while before it needs replacing. Available in four colours and three sizes. £19.99, For more information click here. A tumble and tears are inevitable when riding off-road, but keep paws protected with these mini Madison Trail gloves. Small, medium and large sizes in two colours. £12.99, For more information click here. Norco is offering its Fluid range with 27.5in wheels for adults but 20, 24 and 26in for younger riders. The Fluid 2.2 gets 83mm of travel, the Fluid 4.2 has 100mm and the Fluid 6.2 features the full 120mm. All the bikes get disc brakes and proper suspension and are the perfect stepping-stones to something bigger as they get older. 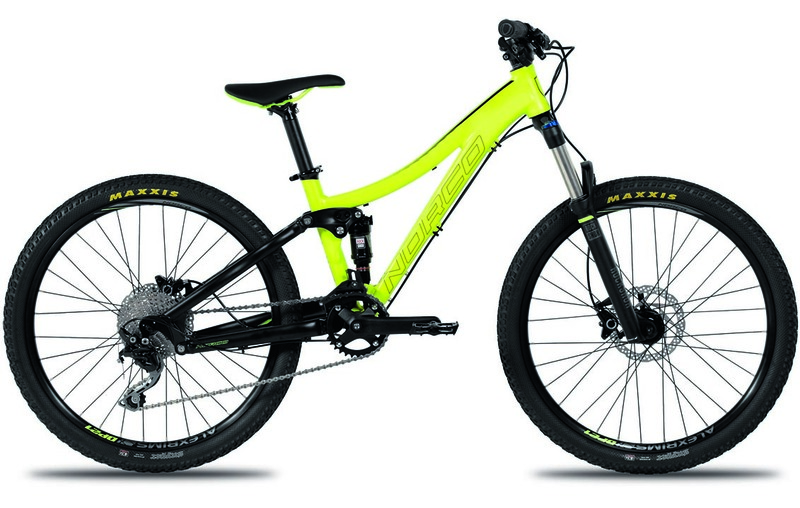 Fluid 2.2 £999, Fluid 4.2 £1,049, Fluid 6.2 £1,099, for more information click here. 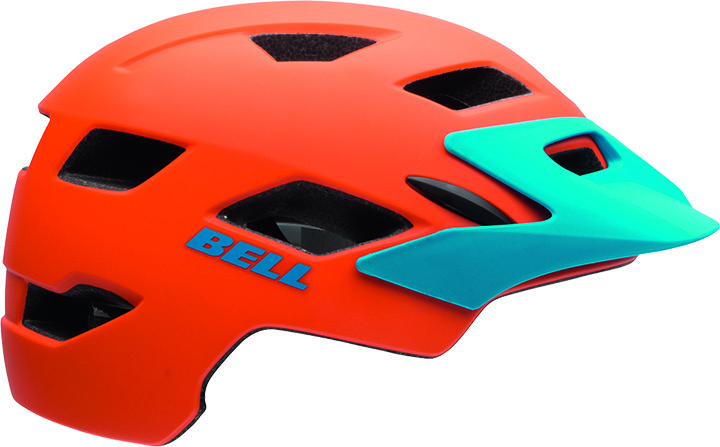 Bell’s Sidetrack Youth helmet features the impact-reducing MIPS technology. The universal size has an adjustable fit system with a PinchGuard buckle to stop it nipping the skin. £44.99, for more information click here. 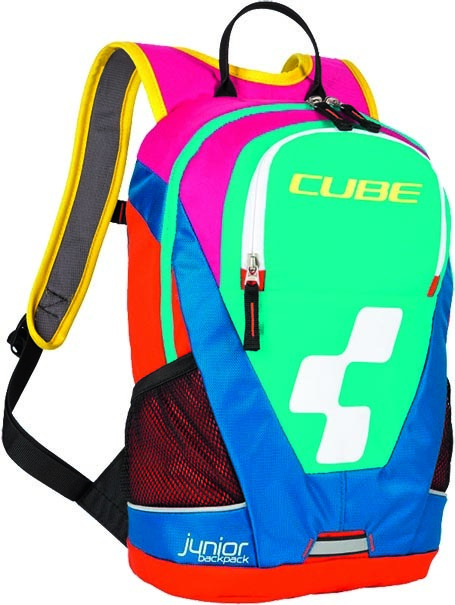 Cube’s Backpack Junior uses Deuter’s excellent Airstripes ventilated back system for support. £35.99, For more information click here.